Rafael Benitez is gaining support in the betting market on who will be the next permanent manager of Scottish champions Celtic. Left stunned by the immediate departure of all-conquering Brendan Rodgers, who left the club to join Leicester despite being on the cusp of a domestic treble-treble, Celtic turned to old Bhoy Neil Lennon. The former Northern Ireland international took control of Celtic for the second time in February, but has only been appointed on an interim basis while the club regroup following Rodgers’ unexpected exit late last month. Lennon remains unbeaten domestically since stepping in and will do his chances of securing the full-time job again no harm if he guides them to a win over bitter rivals Rangers this weekend, but the club harbour ambitions of making continental progress. Although Lennon masterminded and played in a handful of famous wins in Europe for Celtic, most notably over Barcelona, there is a sense among supporters that he is yesterday’s man, doing a favour for a club caught on the hop. Nonetheless, he remains the 11/10 (+110) favourite to be Celtic’s manager on the opening day of next season, but the club’s vast fanbase are getting excited by the links with Newcastle manager Benitez. The Spaniard, who famously won the Champions League with Liverpool in Istanbul in 2005, has been backed in to a 5/2 (+250) second favourite, raising eyebrows around Europe as his stock remains very high. Having managed the very elite in Europe – such as Real Madrid and Inter – some may see Celtic as a step down for Benitez, but his time with Newcastle suggests he’s willing and able to take on tricky challenges at well-supported clubs with bags of potential. Although his relationship with the Newcastle fans remains strong, his three-year tenure at the Magpies has always been on a knife-edge due to his turbulent relationship with owner Mike Ashley and the board’s reluctance to invest in the squad. As such, a summer move to Glasgow does not seem all that fanciful for bettors, who have been backing such a move with the likes of Paddy Power and Ladbrokes and other online bookmakers this week. Also high up in the betting is Belgium Manager Roberto Martinez (5/1, +500), free agent Phillip Cocu (10/1, +1000) and Kilmarnock coach Steve Clarke (14/1, +1400). 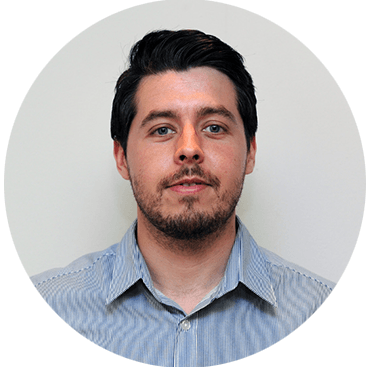 Jamie Casey, a sports writer and editor with extensive experience in the sports betting industry, has contributed to such publications as RTÉ, Sky Sports, The Irish Post, The Unibet Blog and Bleacher Report.